Here is the scenario: it was 8:30am in the morning and my daughter exclaimed she was hungry. What to do? Head down to ABC and grab some yogurt and fruit? How about visiting the adjacent McD's for their breakfast with pineapple? No, none of those options sounded that interesting. What could I get for her and also my son (who is super picky) for a quick breaky before we picked up our rental car? 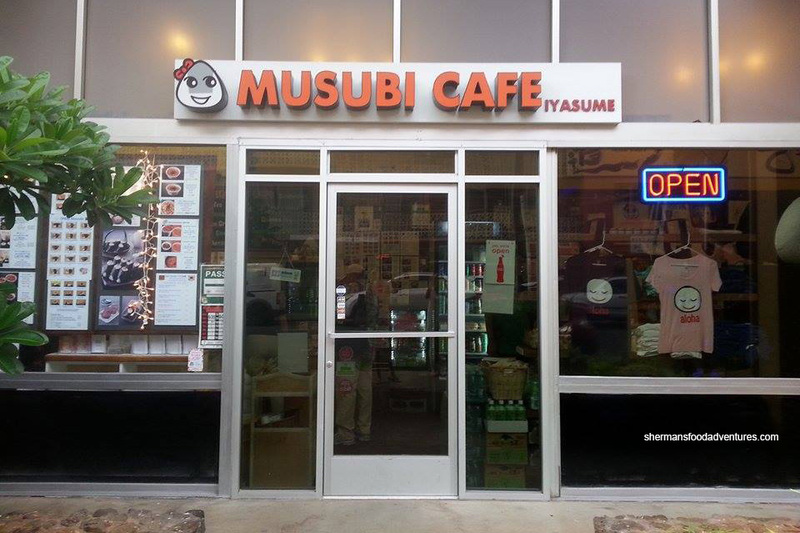 Solution: walk up 3 short blocks to Musubi Cafe Iyasume. Reason: the stuff was cheap and the kids would love them (including my son). 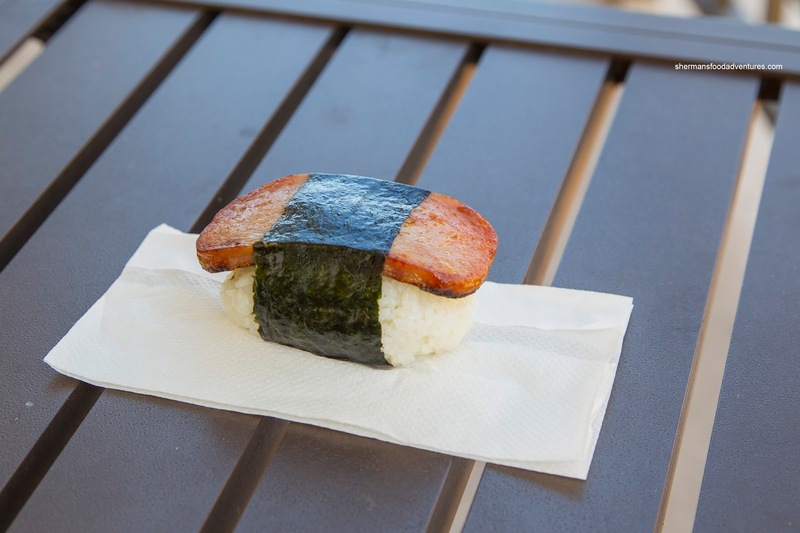 Naturally, we had to try the basic Spam Musubi as a baseline for all the other variations. As much as some might thing a musubi is a simple item that can be easily made at home, they are partly right. Yes, anyone can make one, but would it be any good? The Spam is pretty much standard, but having it seared up did increase the aroma. It wasn't overdone though as it retained its fatty moist texture. Also, the most important part was the sushi rice. This one was on point being chewy while not dry. 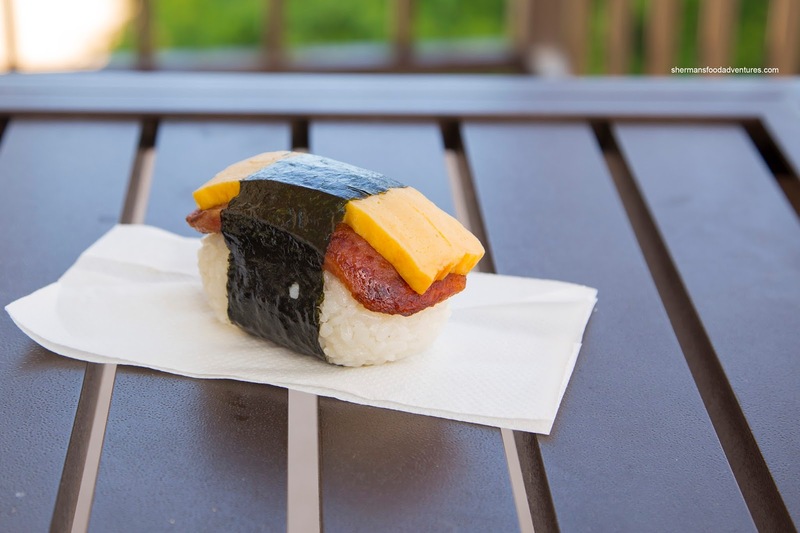 Adding a piece of tamago to it rendered the Spam & Egg Musubi. Other than adding a certain fluffiness, the egg brought down the saltiness even further. 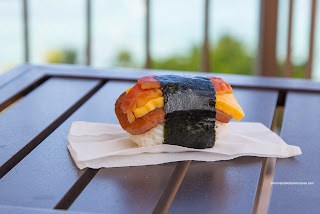 That was not the case with the Bacon, Egg and Spam Musubi though. For me, the addition of bacon (which was not crispy due to being wrapped in saran) only compounded the saltiness. But what do I know because my son gobbled it up seaweed and all. Other than the musubis, I decided to try 2 of their Rice Balls with one salmon mayo and one chicken mayo. Other than a slight textural variation, both of these were very similar with chewy seasoned rice and dry mealy meat. 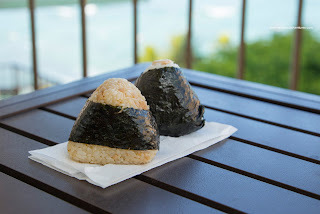 I was indifferent with them because I found them bland and uninteresting compared to the musubis. 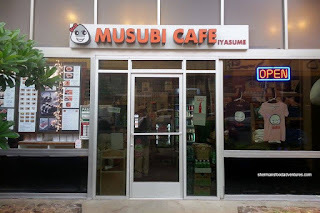 However, with the low prices and accessibility of their products, there is not much to dislike about Musubi Cafe.